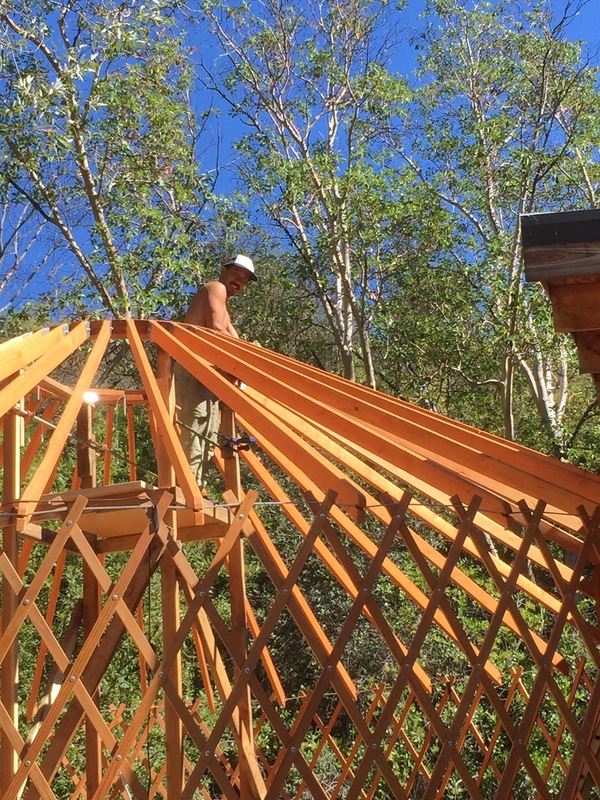 A couple of weeks ago, Jacob mentioned that he might need help moving his yurt from it’s remote mountain home in Northern California to it’s new home in Southern Oregon. 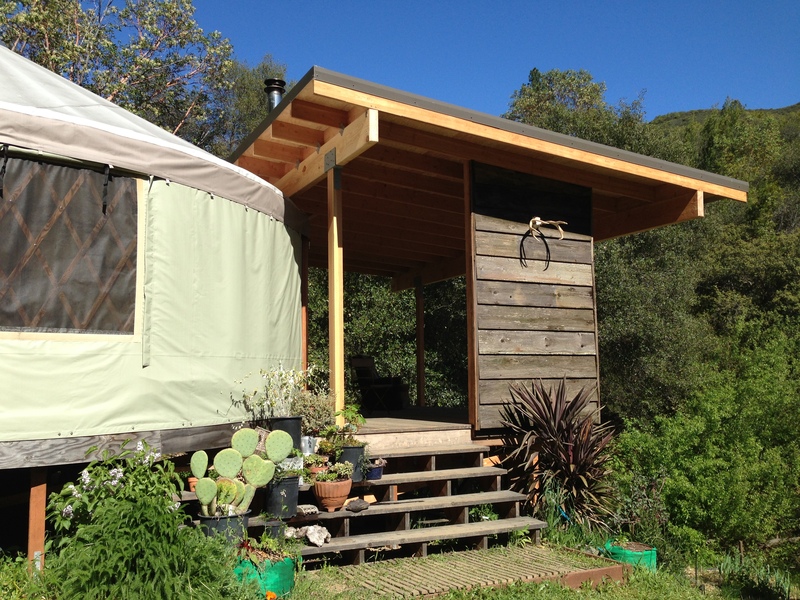 Now these yurts were developed to be quick to build, portable structures but Jacob’s yurt was a big one. 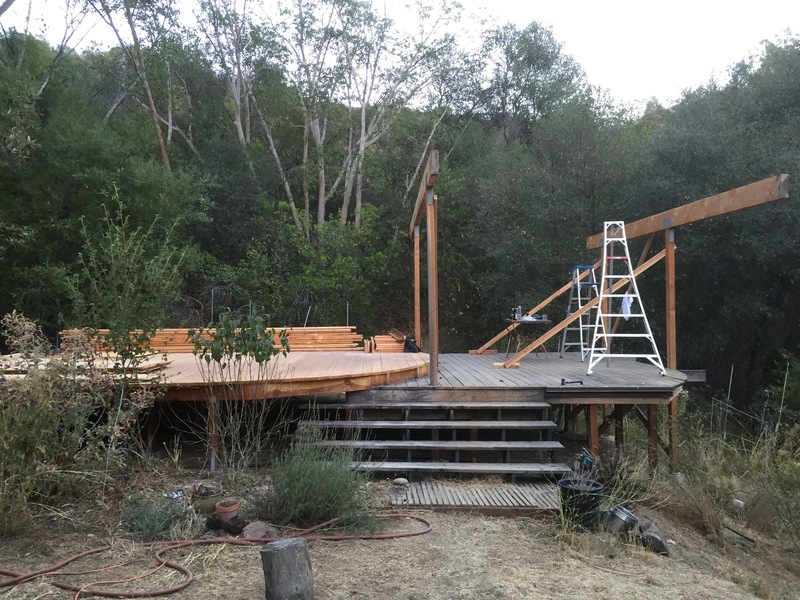 24 foot in diameter with a installed tongue and groove floor, a pair of large decks AND a giant cantilevered roof structure with hidden lapped seam paneling. 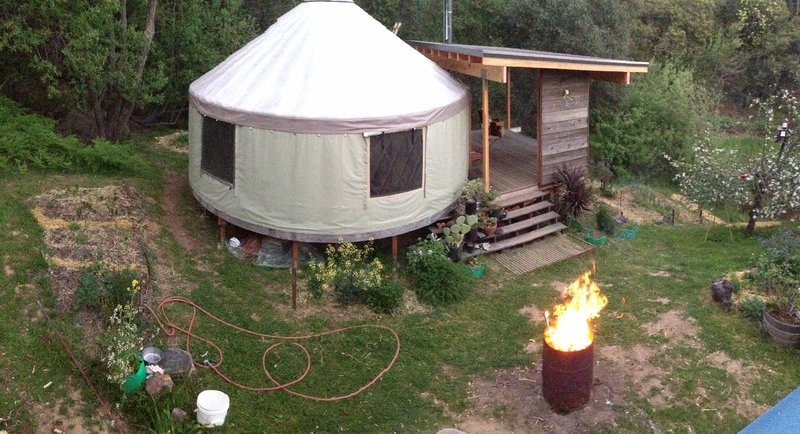 The yurt had been up for a while in it’s beautiful setting. And, over the years, it had become less portable. I was a little bit short on free time but Jacob and I have a history. He’s one of my best friends from Alaska – a friend for almost 10 years. His wife has been a best friend of mine for 20 years. Jacob and I became friends working on the back deck of a fishing boat and we’ve always known that we work well together. We’ve traveled a bunch together, built a house and sauna, gone on adventures and witnessed each of us grow through our changes. When you know someone well and are familiar with their working style, there’s a certain shorthand you can revert to. 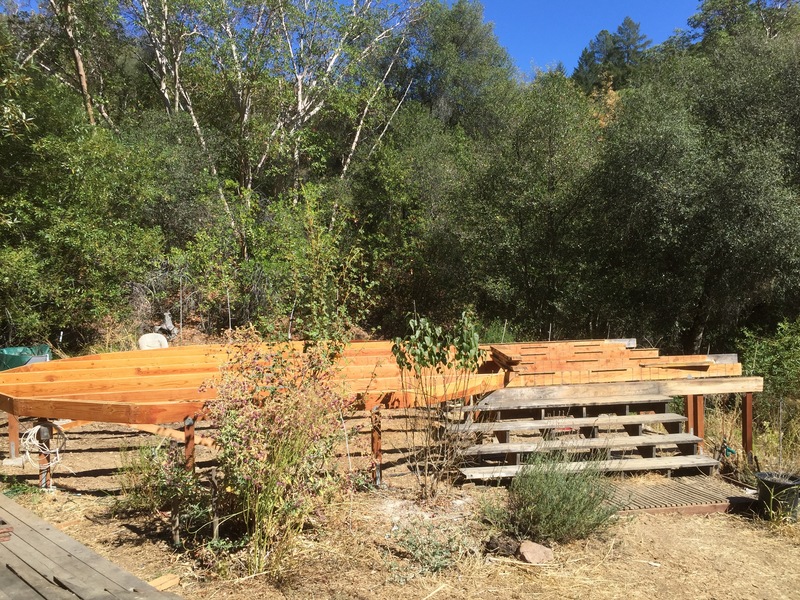 We both like working hard and get a certain satisfaction out getting big jobs done quickly and efficiently. Even though I love working with Jacob, having just moved into a new space, I hesitated. 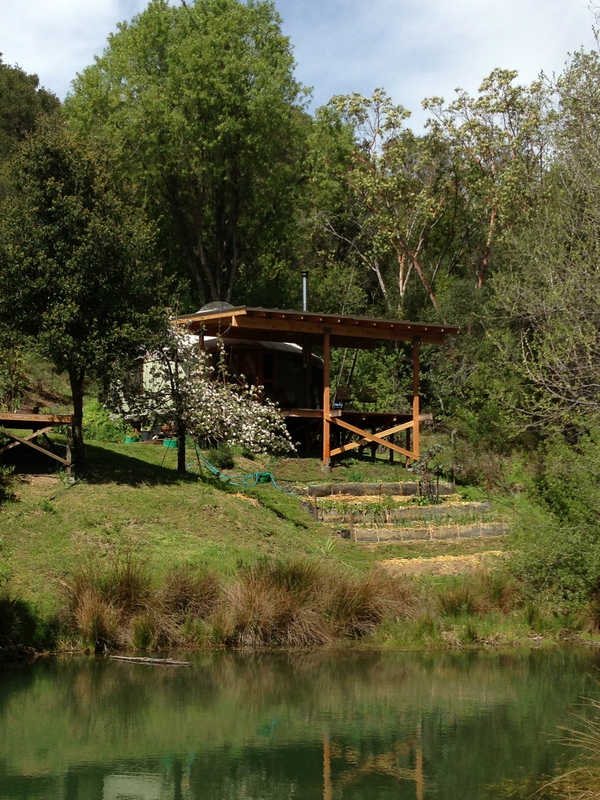 Could I afford to spend 6 days away from home. But, then, my better judgement got the best of me. Of course, I would help! It’s what shipmates do. The project wasn’t without hurdles. 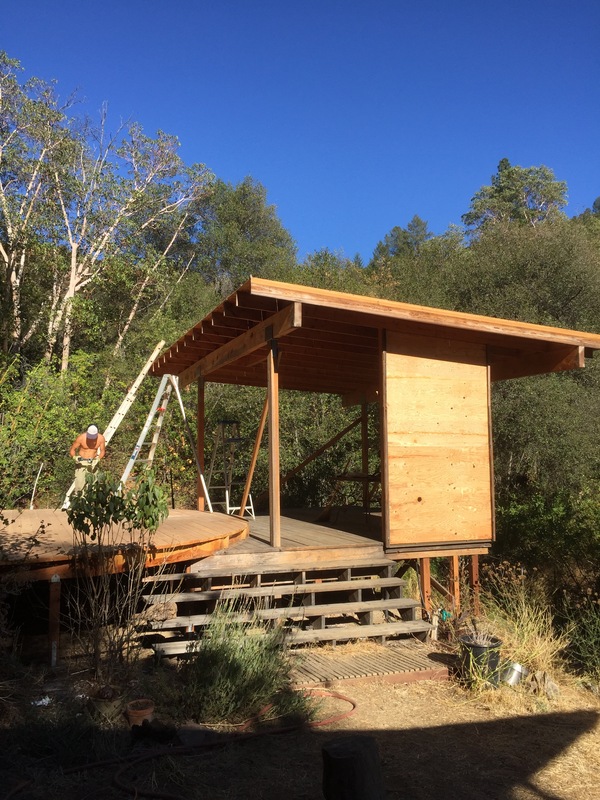 There was the figuring out how to undo the standing seams that held the roof panels together. (Jacob made a tool for that). There was the overwhelming heat. (Trips to the lake/rope swing solved that). 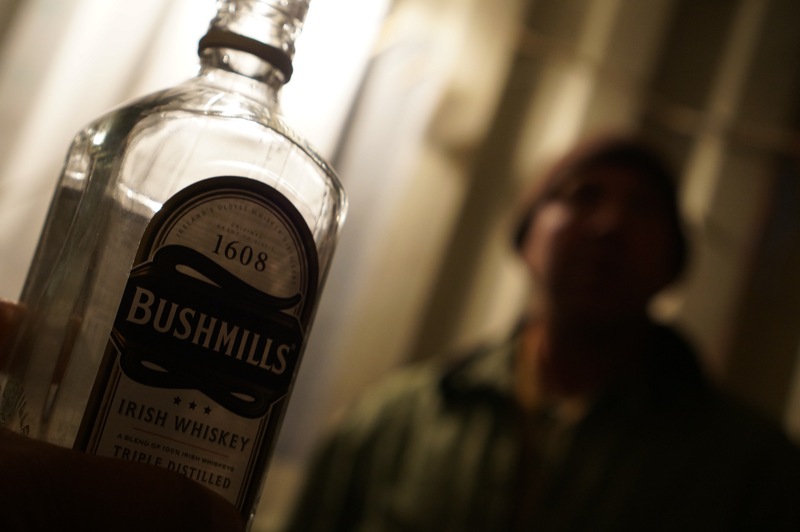 There was the night we split a bottle of Bushmills and I was HURTING the next morning. (Hydration. Coffee). 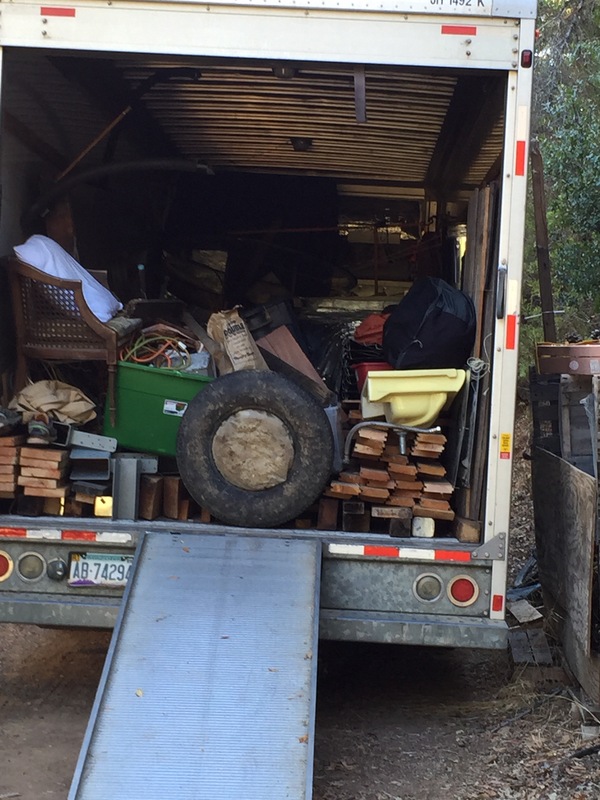 And, of course, getting the truck up the narrow mountain road to the yurt. (Gentle acceleration). And there was lots of help from Layna and Eric. Caffeine. Water. Sweat. Problem solving. Outdoor living. Laughter. Strong friendships. A chance to visit my sweetheart up in Oregon. I can’t imagine what I thought could have been more important than that. There’s a lot of things that are competing for our attention and our time. I’m once again reminded that we should always continue to keep moving towards the choices and friends that nurture our spirits. 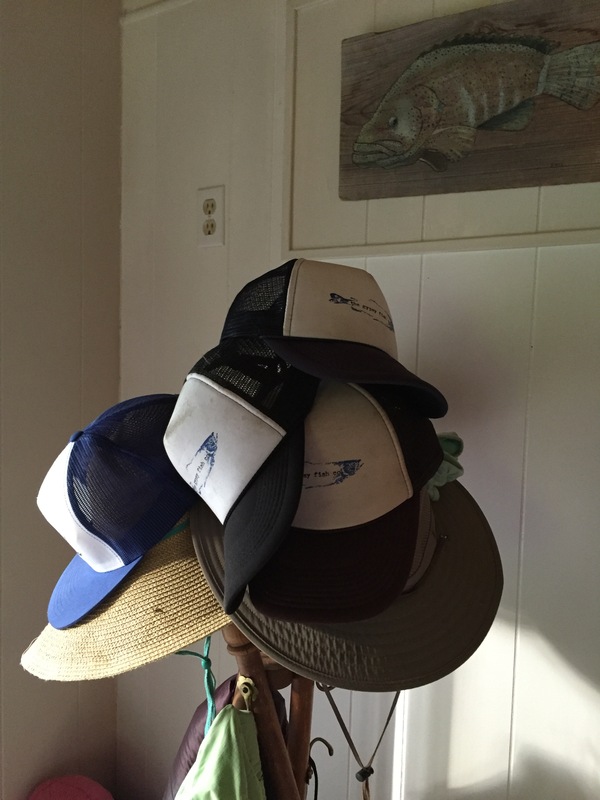 The hat rack at Jacob’s house.